Flu can lead to despair, cause various complications and exacerbate chronic health conditions.Knowledge is the primary weapon in preventing and defeating it. 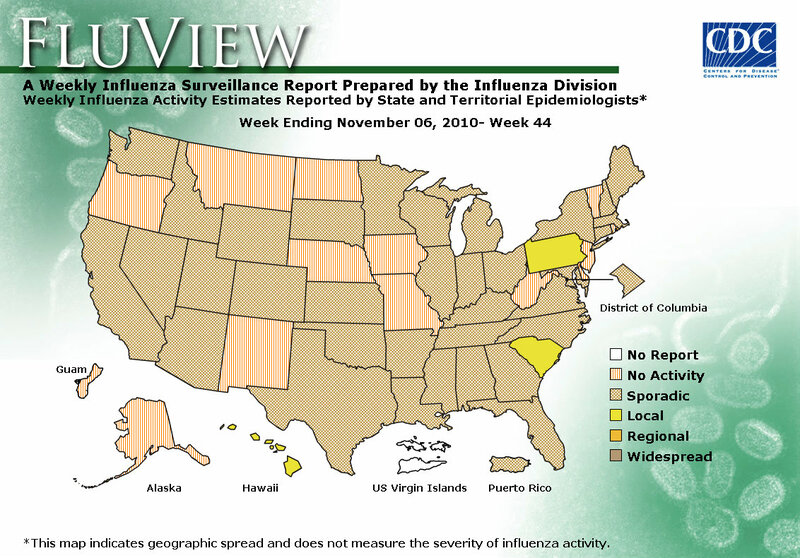 Influenza-like illness (ILI) in the United States was still below national baseline in mid December 2010, but kept increasing throughout the month. 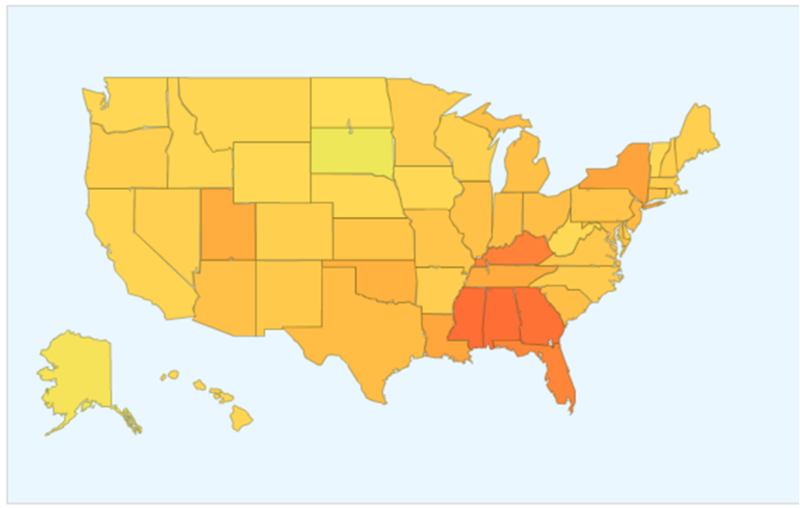 Three states of region 4, Alabama, Georgia, and Mississippi, experienced high ILI activity, New York City, Nevada and Arizona experienced moderate ILI activity, Oklahoma and Louisiana experienced low ILI activity, and the District of Columbia and remaining 43 states experienced minimal ILI activity. The geographic spread of influenza in one state (Mississippi) was reported as widespread, Puerto Rico and 13 states reported regional activity, seven states reported local activity; the District of Columbia, Guam, and 28 states reported sporadic activity. CDC data are based on surveillance for week 50 (December 12-18, 2010) and 3 prior weeks. Google flu trends for week 51 (December 19- 25, top figure) predict increase for Utah (region 8) and Kentucky along with other states of region 4. What to expect next? Hopefully a good year like 2005-2006, shown on the left. Or a slightly worse scenario with more widespread flu around the month of February, like in 2007-2008 (as seen on the right).